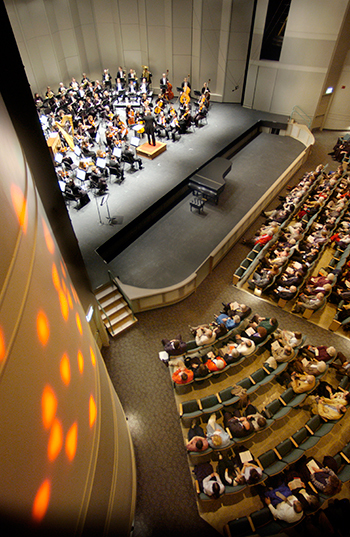 The Clark State Performing Arts Center is home to the Springfield Symphony Orchestra. This incredible facility, one of the finest concert venues in Ohio, features the 1,490-seat Kuss (rhymes with the “cus” in “cushion”) Auditorium, our symphony hall. The auditorium is a state-of-the-art, acoustically magnificent musical instrument in its own right. As one would expect, it is also a feast for the eyes. 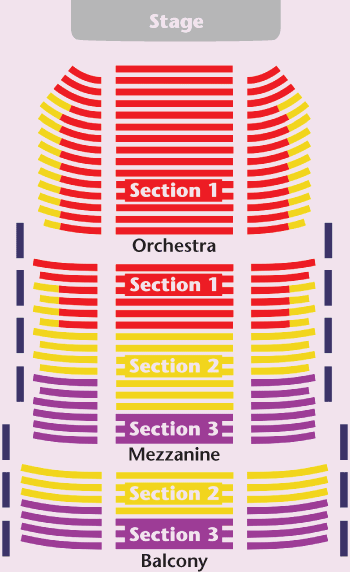 The expandable stage is large enough for the Mahler Resurrection Symphony, but the hall also is sensitive enough for a chamber music recital. The seats are comfortable, so squirming is blessedly eliminated. If you’re in the southwest Ohio area, visit the Clark State Performing Arts Center for a musical experience to remember! Click here to visit the official Web site for the Clark State Performing Arts Center. The Clark State Performing Arts Center is pleased to offer Concessions to all patrons prior to performances and during events that have intermissions. The Concessionaire offers a wide selection of non-alcoholic and alcoholic beverages, coffee with liqueurs, and snacks.